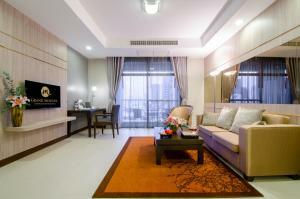 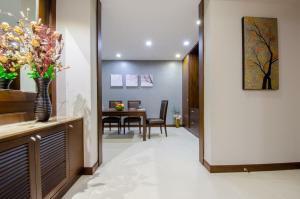 Grand Mercure Bangkok Asoke Residence offers 5-star luxury with free WiFi access and free private parking. 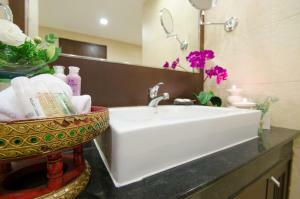 It features a rooftop swimming pool, fitness centre and sauna facilities. 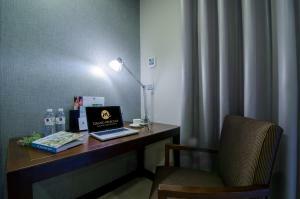 Free shuttle service to Terminal 21 Shopping Mall and Asoke BTS Skytrain Station. 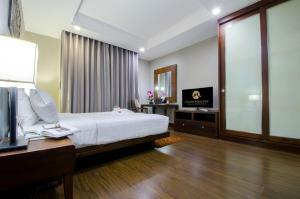 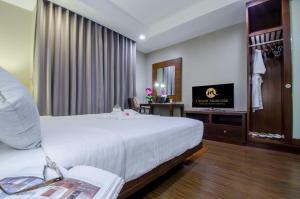 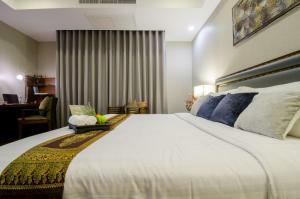 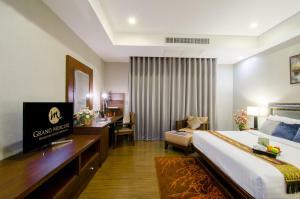 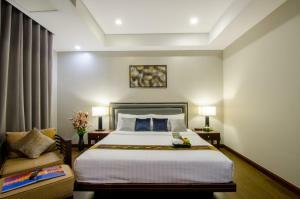 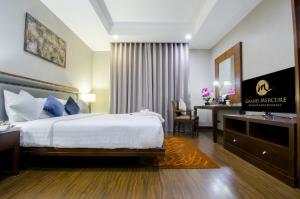 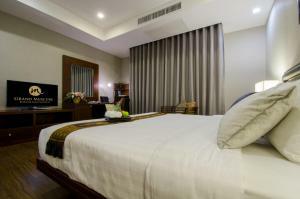 Grand Mercure is conveniently located within walking distance from famous Sukhumvit Road and Asoke BTS Station. 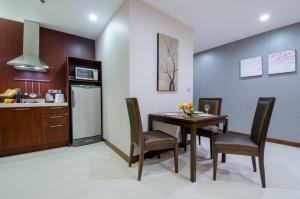 Modern suites feature dark wood furnishings and private balconies. 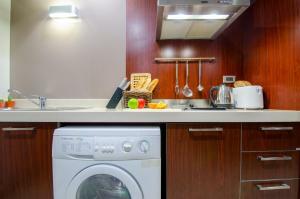 They are fitted with well-equipped kitchenettes. 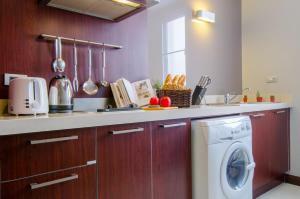 Ironing facilities, cable TV and a safe are also provided. 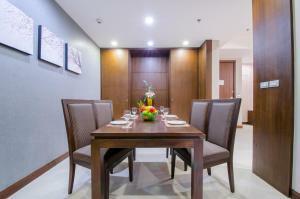 In addition to the roof top swimming pool with stunning views of the skyline, the residence features executive services and a professional staff to make sure your stay is perfect in every way, whether you need to relax or get down to business. 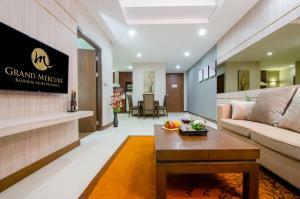 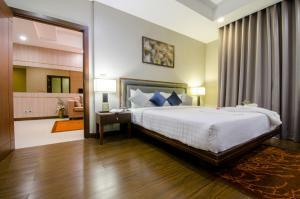 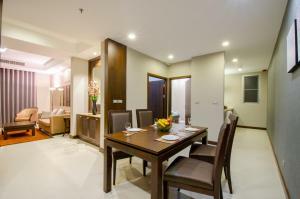 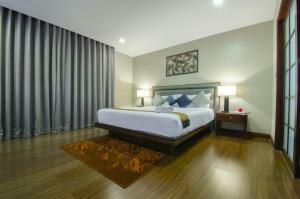 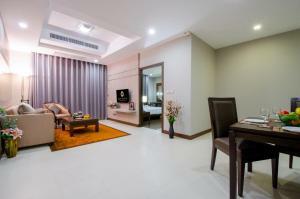 Spacious suite comes with a large living room with balcony, dining area and a fully-equipped kitchen. 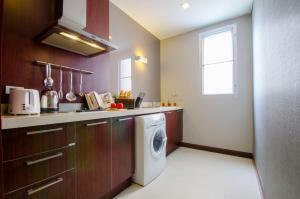 It also has a washing machine. 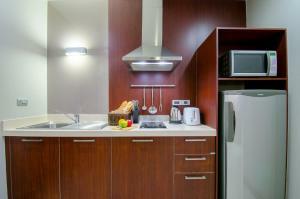 Large one bedroom suite with fully equipped kitchen, a balcony and a living area. 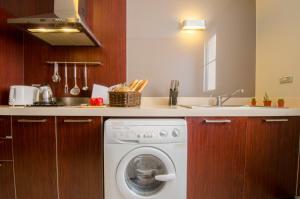 Includes a washing machine and tea/coffee making facilities. 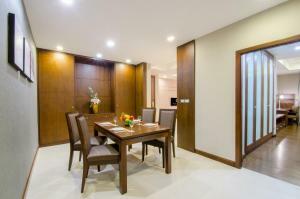 This suite has a balcony, kitchen and DVD player. 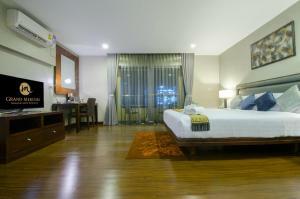 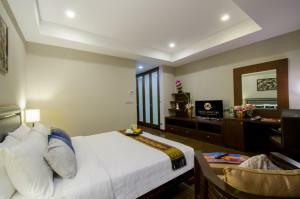 Rate: THB 3254.40 ... THB 8620.35; select dates below to get current rates. 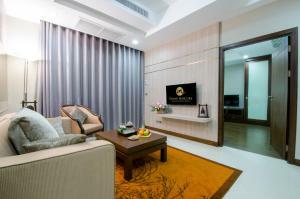 This stylish suite features a flat-screen TV, washing machine and a seating area. 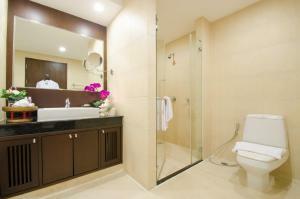 Its en suite bathroom bathroom comes with separate shower and bath. 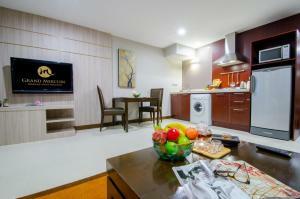 This suite has a balcony, washing machine and cable TV. 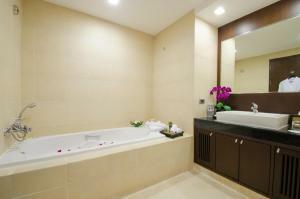 This suite features a balcony, toaster and bathrobe.